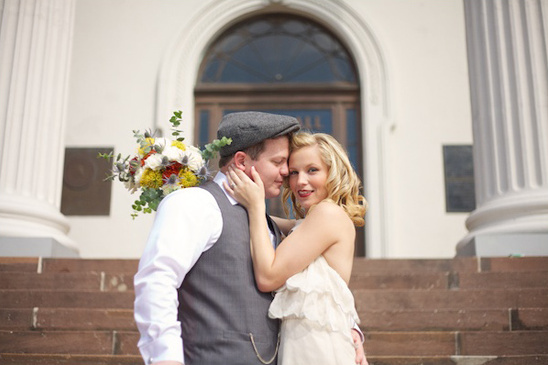 It was supposed to be a big affair. 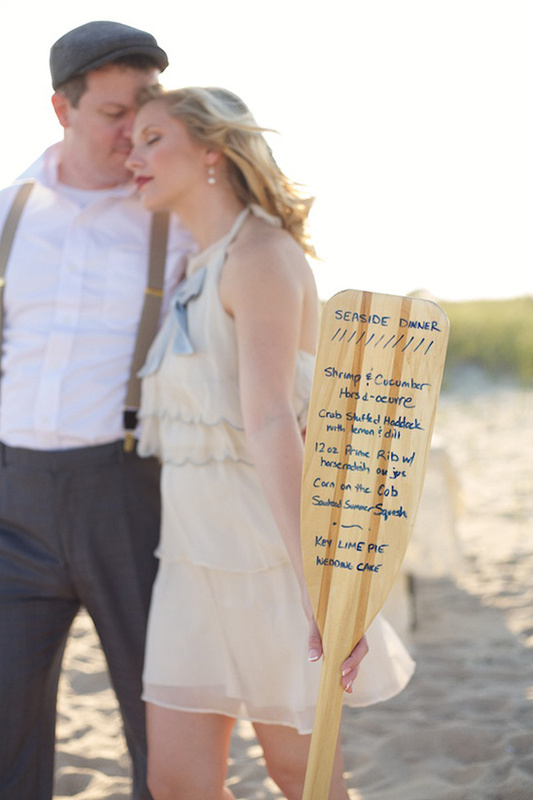 But at the heart of these lovebirds, they were just a boy and girl who had fallen in love out of high school, and spent the last few years kicking up sand along the seashore and snuggling together while the breeze whispered through the sea oats. 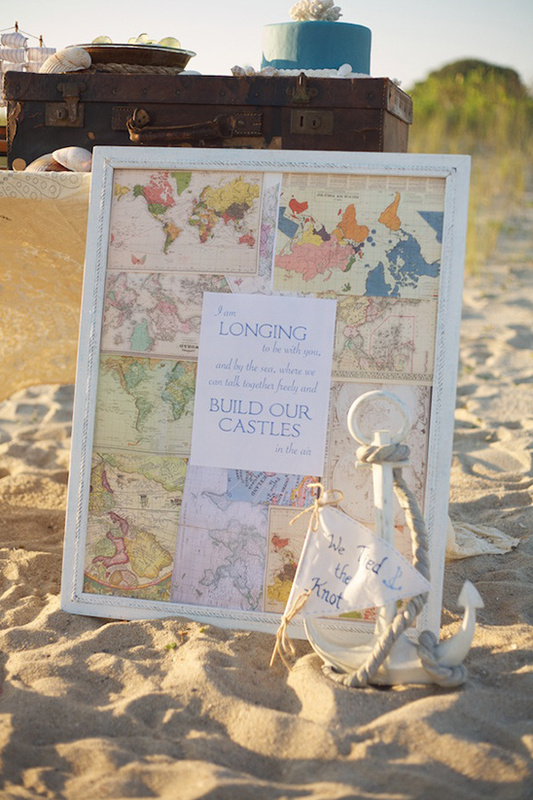 "Let's just run away and get married," she whispered to him. 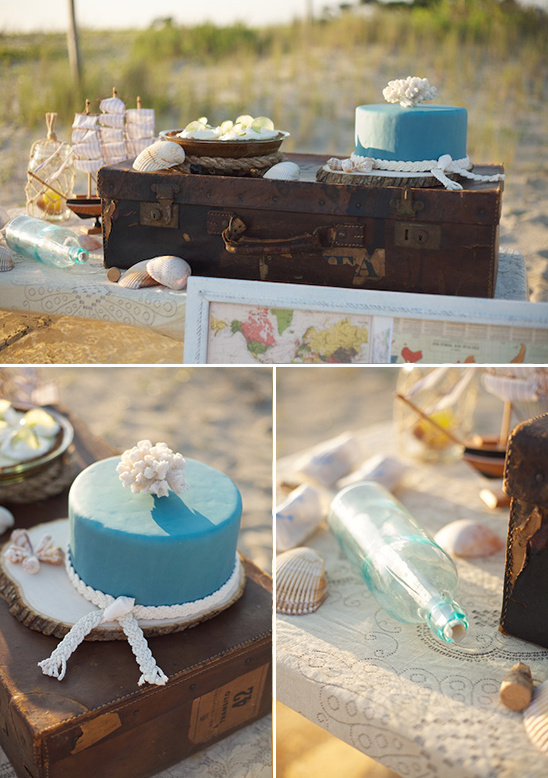 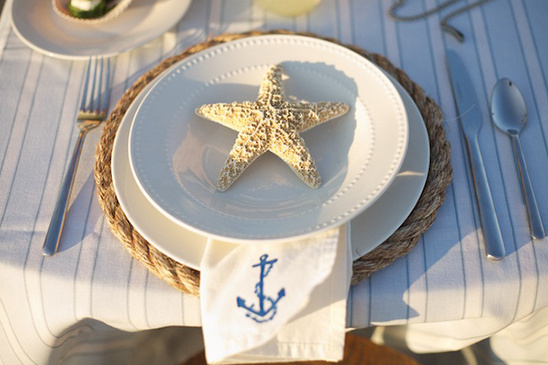 This was the story Live View Studios had in mind when they, along with several talented vendors, created this vintage seaside inspirational shoot. 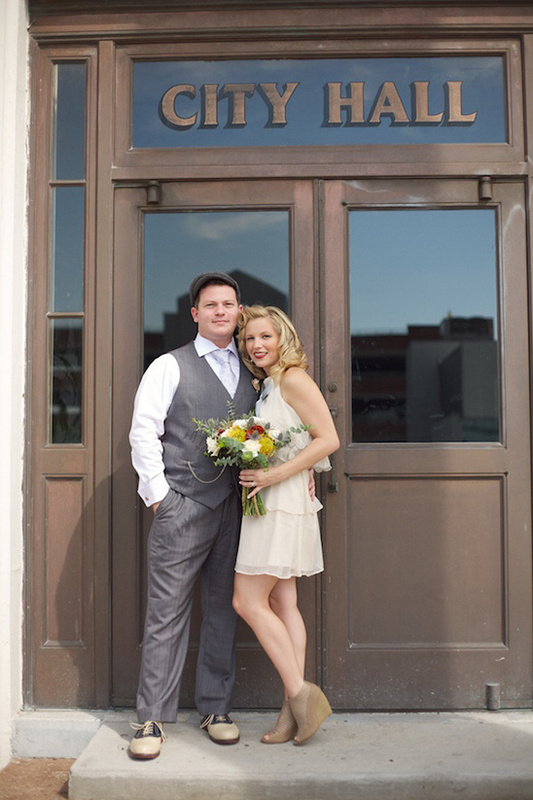 A real couple, Natasha and Seth, was cast as the girl and guy of yesteryear. 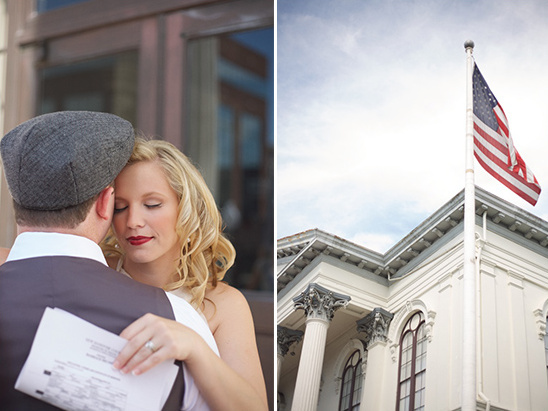 Married for about 2 years, the love between them made this shoot come to life. 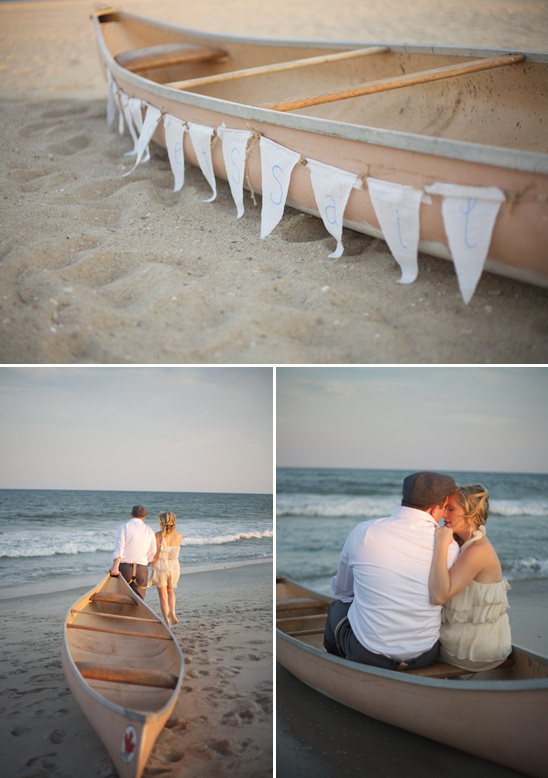 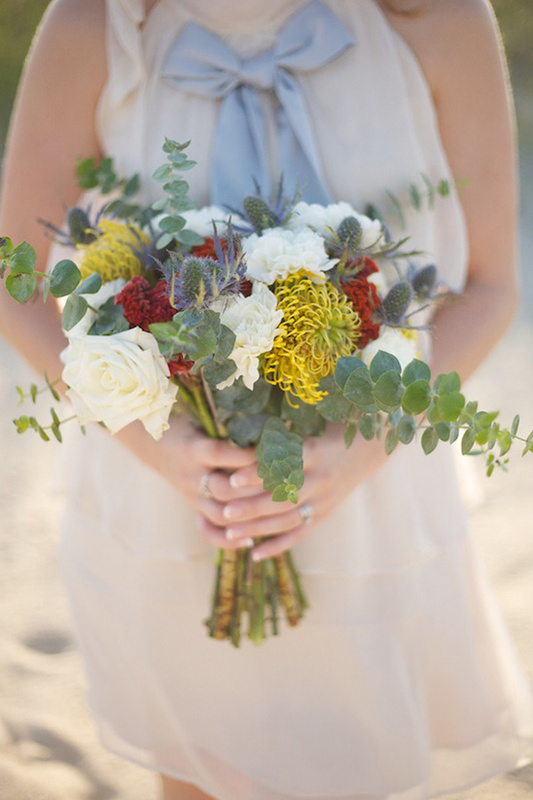 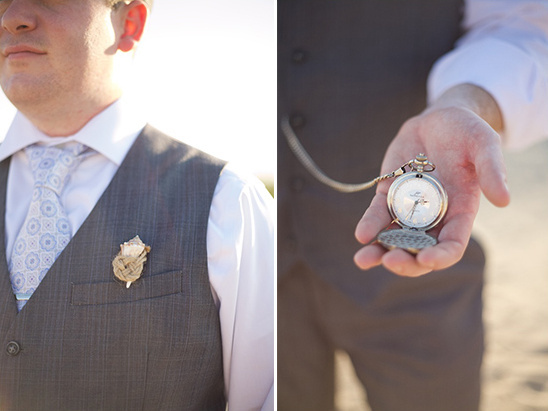 View more romantic moments from this coastal inspirational shoot in the full gallery here. 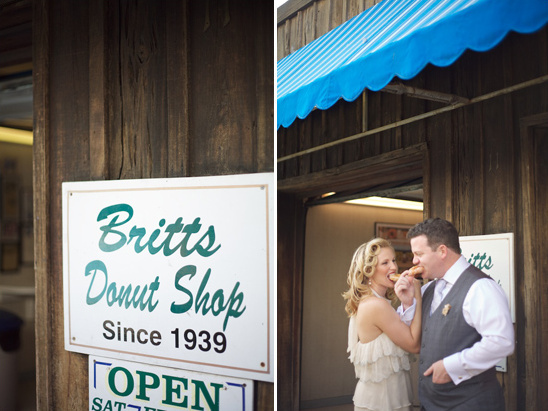 It began at Wilmington's majestic courthouse where they made it official, and then to the legendary Britt's Donuts off the boardwalk in Carolina Beach where our couple enjoyed a sweet treat before heading to their intimate beach gathering to celebrate. 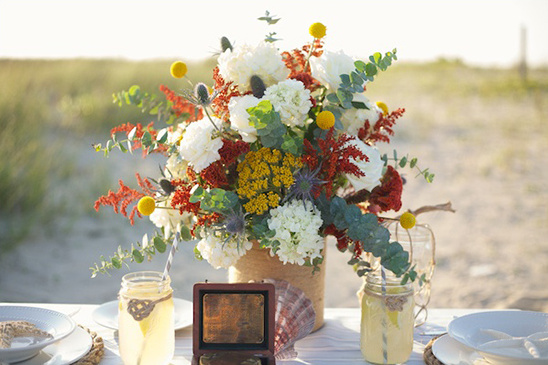 Here, instead of the typical navy blue, the color scheme was golden yellow, burnt orange, light blue, & cream, echoing the colors of late summer and the seaside. 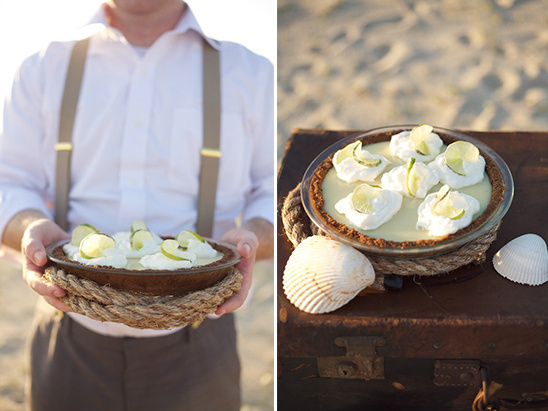 Sailors knot hearts decorated not only the lemonade-filled mason jars, but one also encased a tiny shell for a unique boutonniere. 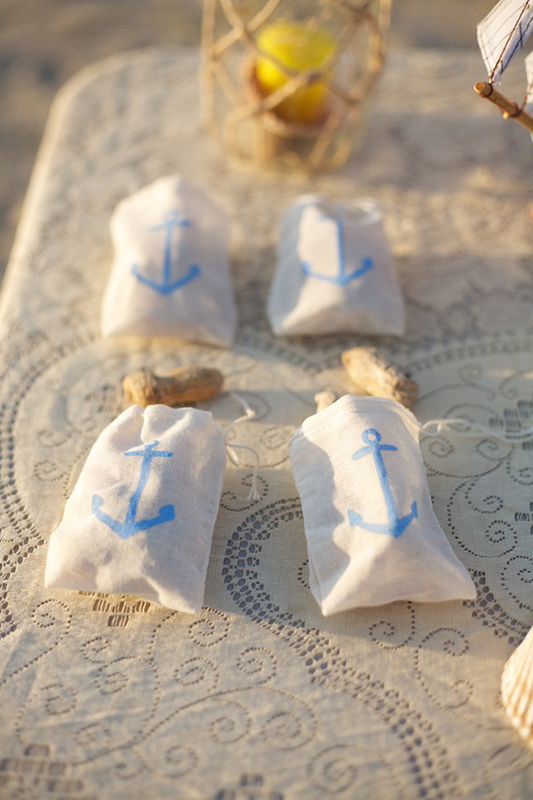 Shells housed shrimp and cucumber appetizers, and hand painted muslin bags filled with Carolina-grown peanuts were favors. 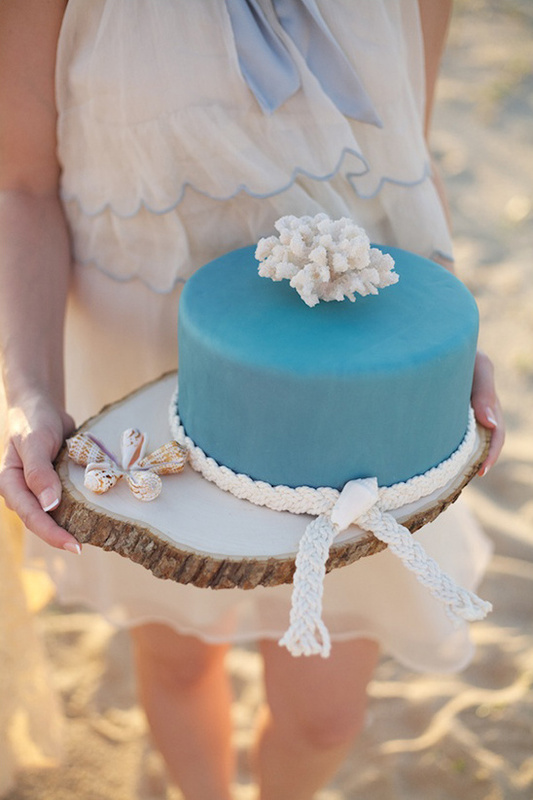 Coastal favorite, key lime pie, was an additional dessert while coral made a rustic cake topper for the wedding cake by Linacucina LLC. 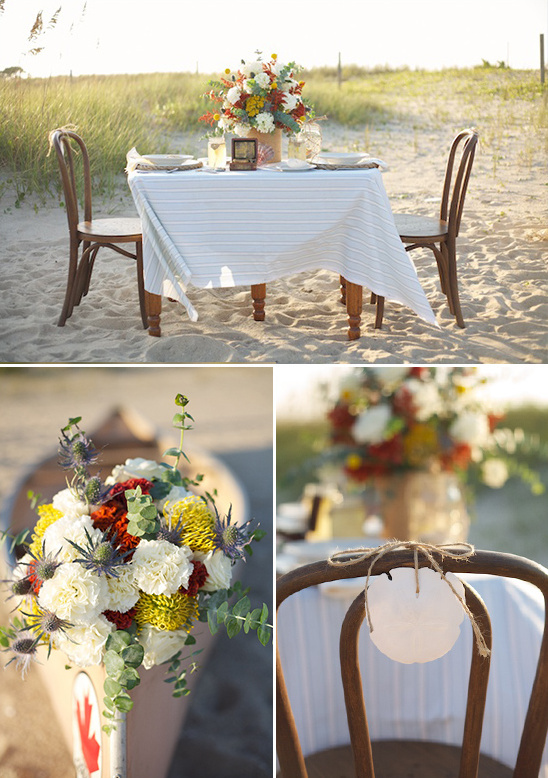 Sand dollars accented the chair backs for a simple decoration, and twine-covered mason jar lanterns would provide additional light. 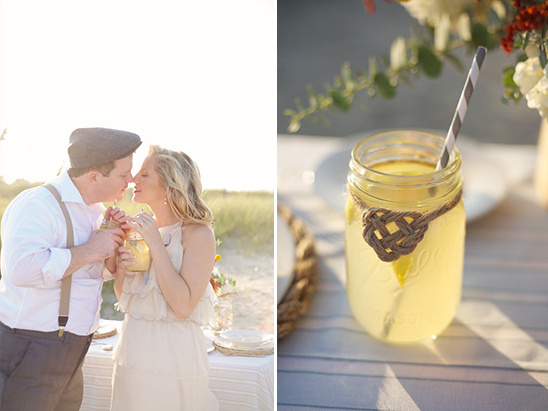 In true beach romance, these two wrote their love story and sent it off in a vintage glass bottle for some other lucky lovers to find. 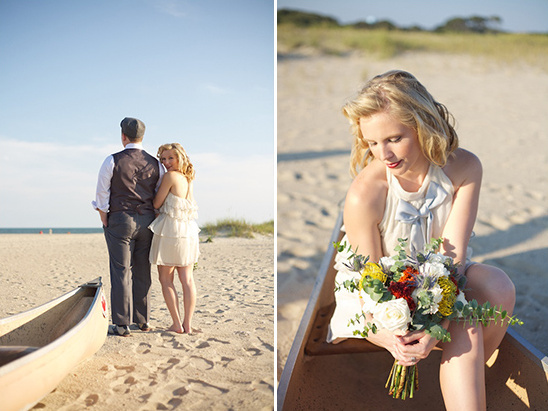 A canoe at the water's edge made a breathtaking prop for these two lovers watching the sun set on their wedding day, and a quote from Dracula's Bram Stoker expresses their love of the sea and each other.